By 2020, the UC Merced campus has pledged to consume zero net energy, and produce zero waste and zero net greenhouse gas emissions. In addition, the campus will nearly double in size before 2020 and Atelier Ten leads the sustainability effort for this ambitious expansion to ensure that these goals will be achieved. This design-build project with Webcor Builders is the largest public-private project in US history. 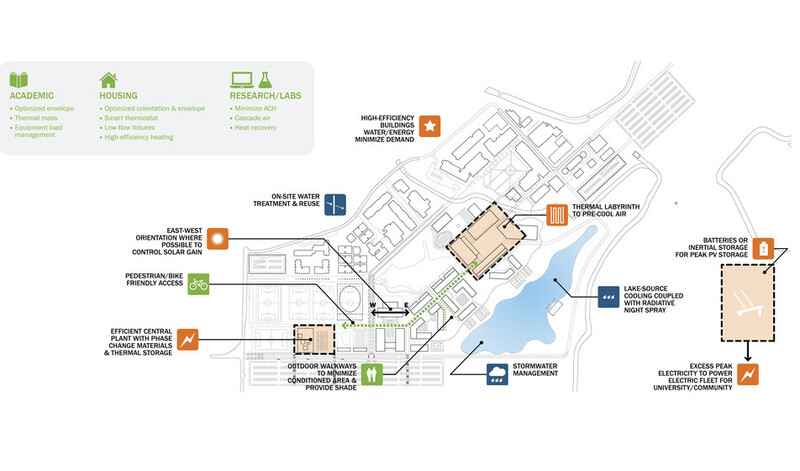 The UC Merced campus expansion will be completed in three phases and will include multiple new teaching and laboratory facilities, student housing, student life space, wellness center, dining, athletics parking and a conference center. Collaborating with mutiple design teams, Atelier Ten is working on each individual building to ensure that the overall campus expansion contributes to meeting the University’s Triple Zero Commitment. Atelier Ten is providing extensive energy analysis to track and project energy use for all new buildings for LEED, Title 24 code compliance, and University requirements. 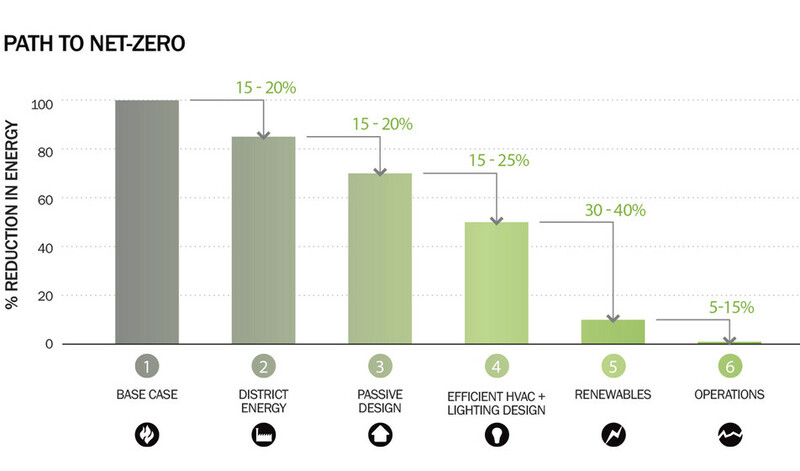 By testing building and central plant energy efficiency measures, Atelier Ten is identifying strategies that will reduce carbon emissions more and cost less than photovoltaic electricity generation.